Bollywood celebrities are always surrounded by controversies, no matter what they say or do, it definitely becomes the headline. Amidst movie premiers and box office records lies a space. This space is filled with rumours, controversies and loads of ‘masala’. From the Hritik-Kangana debate to attack on Sanjay Leela Bhansali’s set, there was trouble written all over this year for bollywood. So as we bid farewell to this year, let’a take a look at the biggest controversies of 2017. The first time that Mira set her foot out without the company of her hubby Shahid, she found herself in a pithole already. She was called at a prestigious event to share her experience of motherhood, however this experience landed up being the worse for her. This comment didn’t go well with a lot of women who belong to the working class despite being mothers. Open letters were written to Mira on social media and she received a lot of backlash for her comments. 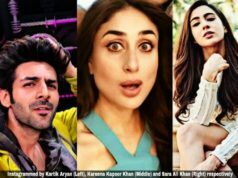 Many took these comments as a dig at Shahid’s ex-girlfriend Kareena Kapoor who was also blessed with a baby boy but was giving priority to work. 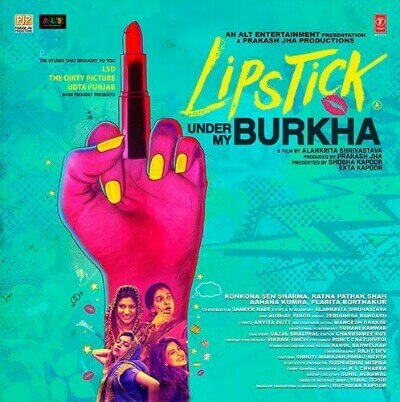 The controversial film ‘Lipstick under my Burkha’ gained a lot of news not just for it’s content but also for the hoopla surrounding it before its release. The ‘women oriented’ film directed by Alankrita Shrivastava had its own share of battles juggling between bans and boycotts. 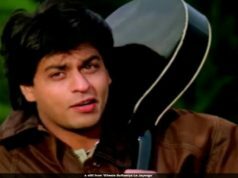 The Film Certification Appellate Tribunal (FCAT) came as a saviour and condemned The Central Board For Film Certification to remove the ban and grant this movie a ‘A’ certificate. 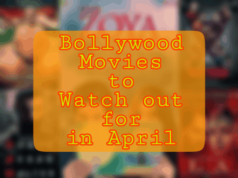 Many celebrities and women were seen supporting this movie all over the social media. #thelipstickrebellion campaign made news over instagran and twitter. It all started when Kangana Ranaut went on the ever controversial show ‘Koffee with Karan’ and ignited the debate on favouritism in the industry. During her appearance on the show, she went on to call Karan Johar “the flag bearer of nepotism and a movie mafia”. This didn’t go well with the director and he retaliated to her by accusing her of playing the ‘victim card’. While all this definitely sparked off a debate, what followed was a long string of comments and events coming from all over the B-towner’s. Sanjay Leela Bhansali’s period drama has been receiving a lot of backlash from various political parties and Rajput community. Firstly, the sets of the movie was attacked and the makers of the movie were threatened that the cinema halls that play Padmavati will be burnt to ashes. All the limits were crossed when death threats were sent to Deepika Padukone and Sanjay Leela Bhansali. 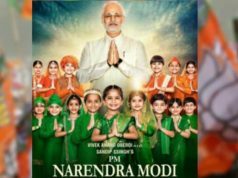 The film was scheduled to be released on December 1 but due to the revolt against the movie release, the release has been shifted to 2018. What can be said about the Hrithik-Kangana spat? This story deserves to be the biggest controversy of 2017. It started off with Kangana calling Hrithik her silly ex and what followed was a big fat story itself. Both went on to the National Television to tell their side of the story and nothing they said matched with the other one’s. Committment, marriage, e-mails, phone calls, photoshop and big fat media coverage, this story had all the ingredients of a filmy drama. It all started with Akshay Kumar making a light hearted comment on Mallika Dua during ‘The Great Indian Laughter Challenge’ shoot. However this wasn’t taken lightly by Mallika and her journalist father Vinod Dua, who took it on facebook and wrote about it and accused Akshay of being too sexist. However, Akshay kept mum. His wife Twinkle Khanna and the entire bollywood industry backed Akshay Kumar and said that his words were misinterpreted. 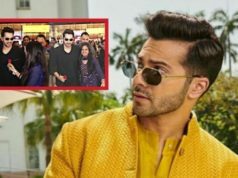 All this was taken as a publicity stunt by Mallika Dua as she was no more a part of the show. What according to you is the biggest controversy of 2017? Do let us know in the comment section below.